Quothquan Trust is a small local grant making charity. Quothquan Trust was established by memorandum and articles of association under company number 5316223 and is a registered charity under charity number 1110647. Quothquan Trust was set up as a grant maker and to take over the programme related investments and certain other assets of the Second Quothquan Charitable Trust. 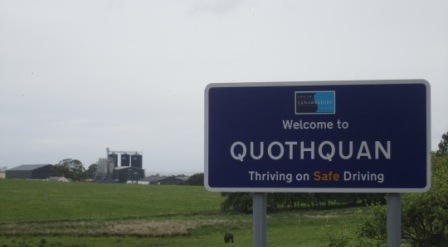 The name Quothquan comes from a small village in Scotland (right) from which the Trust's initial income originated.